Hello, my pretty friends! The festive season is finally here and we all must be busy doing last minute shopping. I will be going full ethnic this festive season. Durga Puja is the most awaited festival here in Kolkata. But my personal favorite is Diwali. One gets to see the innovative and creative side of the people of Bengal through the stunning idols and mesmerizing art of the pandals. I'm sure people who have moved out of Kolkata must be missing this time a lot. 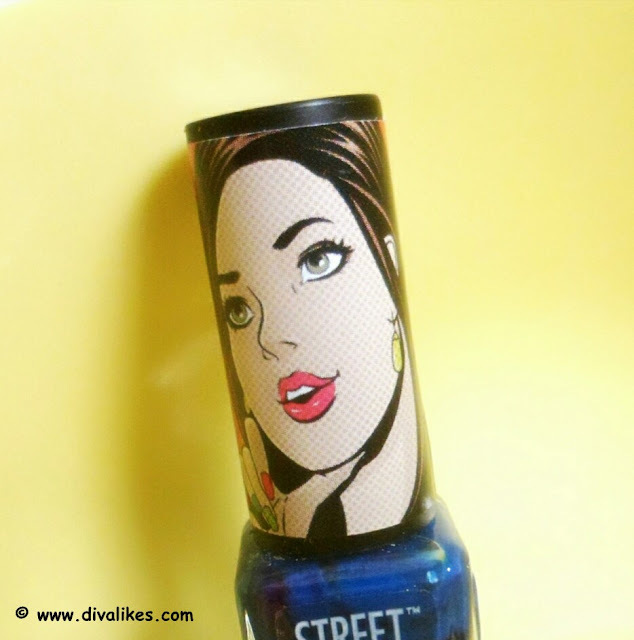 Coming to today's post, I got the Street Wear Color Rich Not So Neon Collection nail lacquer kit in my last haul. It has got four colors in bright neon shades just like its name. 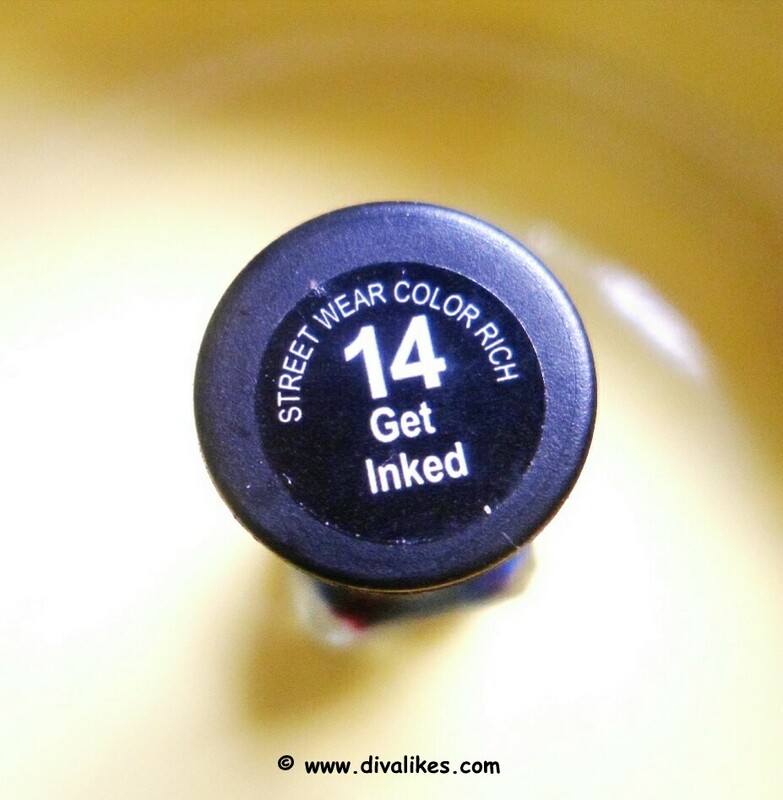 I am going to review the shade Get Inked today. Scroll down to read more about my experience with it. 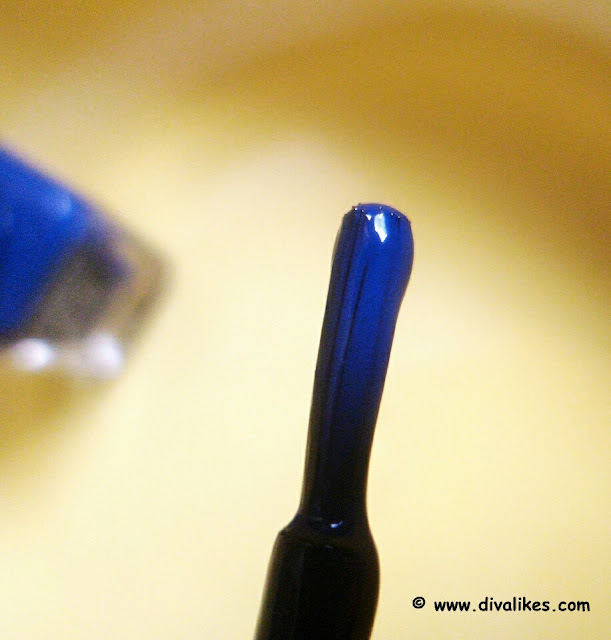 First coat - Start from the base in an upward direction and color your nails to the tip. Let it dry. Apply a second coat for perfect finish & better result. The four nail lacquers in this kit come in a square cardboard box. The packaging of the nail lacquer is similar to the Elle 18 ones. It comes in a tiny rectangular glass bottle with a black cap. The cap has a very pretty graffiti girl printed on it. The shade name is present on the top of the cap and at the side of the cap. The names given to the different shades are very quirky and interesting. It sounds so catchy and noticeable. Overall the packaging is very pretty and compact. The bristle is of good quality. It is quite thick and fans out evenly. 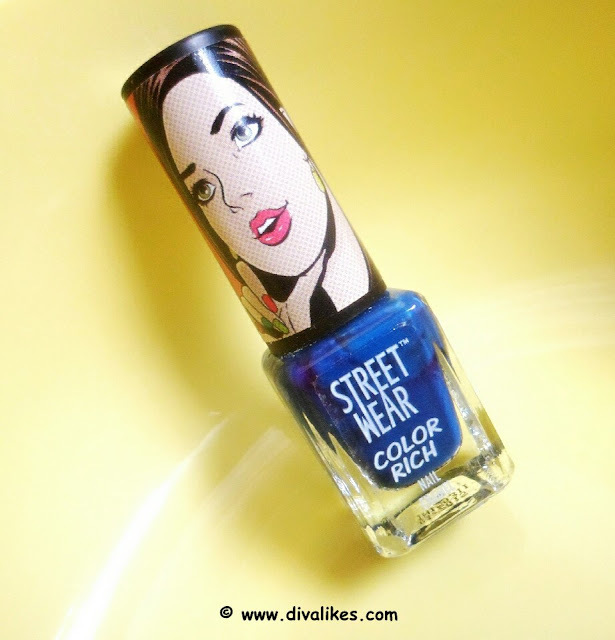 The texture of the polish is in between thick and runny and delivers required color in one stroke itself. It has a creamy finish and comes out glossy. 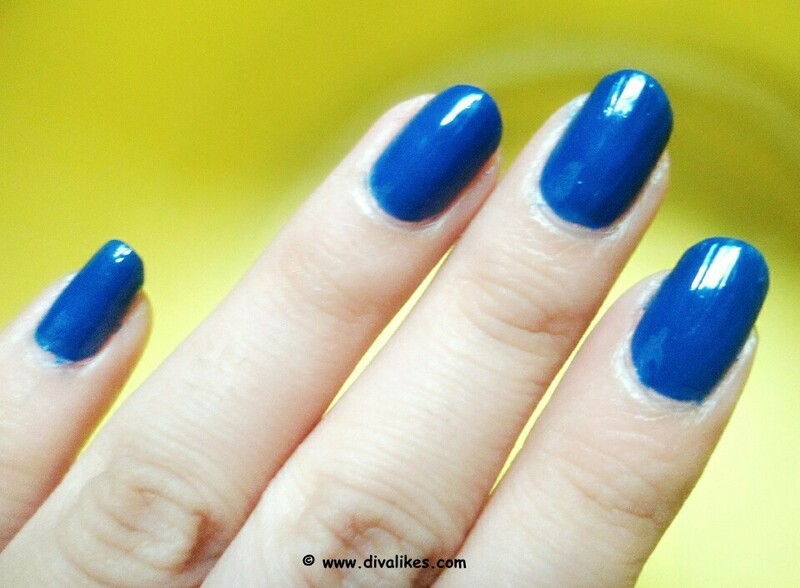 Two coats are all you need to make the color go completely opaque. I would suggest you to not go more than 2 coats or else it will start looking streaky considered the formula of this particular shade is quite thick. The drying time is 2-3 minutes. Coming to the shade, Get Inked comes out to be true to its name. It's a true ink blue color without any shimmers which I like. It looks darker in real than in the bottle. It makes your hands look brighter and fairer. Considering the upcoming winters, it is going to be a great color for the season. The shine of the lacquer lasts for around 3 days even though I am involved in household chores. But is stays chip free for almost a week. Post that, it starts fading from the edges. Let me sum up the pros and cons now. Comes in so many shades to choose. 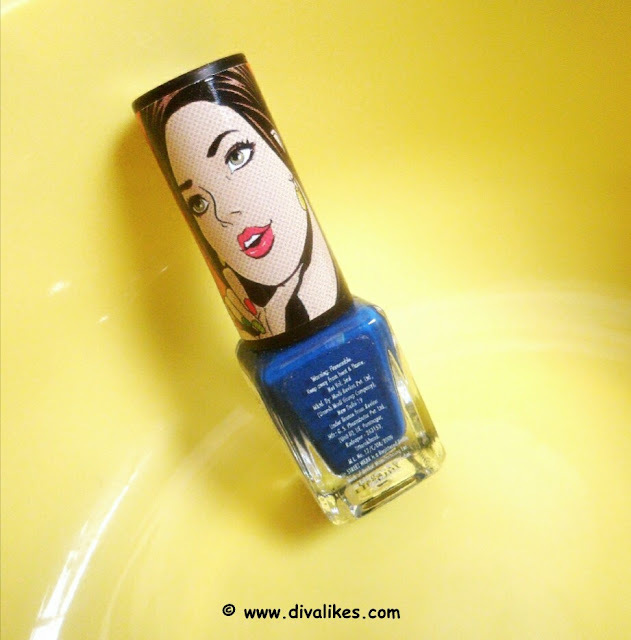 Quirky names to easily identify a shade. Good pigmentation. Comes out opaque in 2 coats. Street Wear Color Rich Nail Enamel Get Inked is a perfect budget buy nail lacquer for college and school going girls. You don't need to spend a lot of money but still get so many shades to pick your favorites. I recommend this to everyone who love cute looking nails! Love the color of this polish. Your nails look amazing! Very pretty shade. 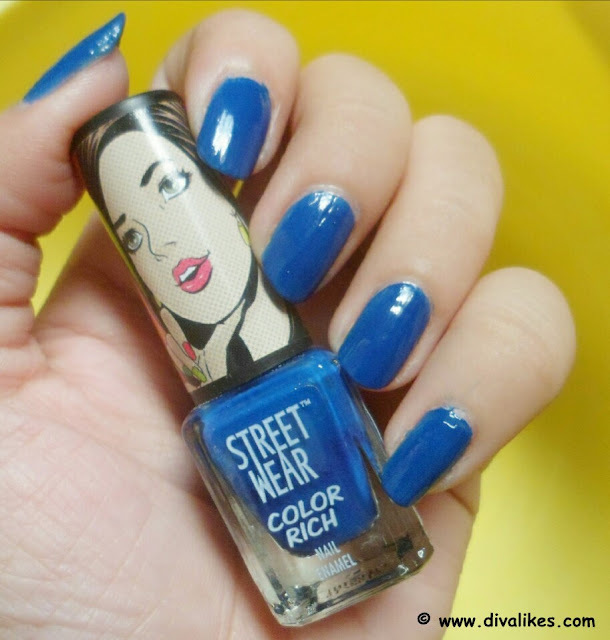 Didn't know Street wear had such gorgeous nail colours.